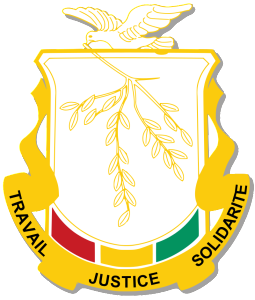 The Republic of Guinea is located on the Atlantic coast of West Africa, bordering Guinea-Bissau, Senegal, Mali, Côte d’Ivoire, Liberia, and Sierra Leone. The area of the country is 246 000 km2 with a population estimated at 11.4 million inhabitants in strong growth. The coast and most of Guinea’s lands are subject to a tropical climate marked by a rainy season from April to November, relatively stable temperatures and high humidity. The dry season, from December to May, is dominated by the harmattan, northeast wind loaded with sand. Many rivers, such as Niger, Senegal and The Gambia, have their source in Guinea, thus offering the country a great potential for hydroelectric production. The majority of Guineans work in the agricultural sector, but agriculture and forestry now account for less than 25% of GDP. Outside the mining sector, Guinea’s main industries are the agri-food, textile, wood and cement industries. The Republic of Guinea is also a member of the MIGA (Multilateral Investment Guarantee Agency), a subsidiary of the World Bank. The institution’s mandate is to protect foreign investors interested in the opportunities offered by their investments from political risks. Guinea is a Republic, with as head of state, the president, elected by the people for a five-year term renewable once. On November 15, 2010, after the first free presidential election since independence in 1958, Professor Alpha Condé (born March 4, 1938 in Boké) was elected to the head of the country and after the election of October 11, 2015 , Re-elected for five years. The legislative power is assured by a parliament composed of a single chamber, the National Assembly, where there are 114 deputies elected by the people for a five-year term. 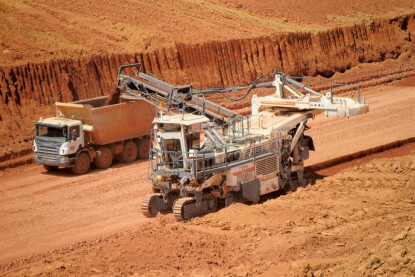 Guinea is the first country in the world for its bauxite reserves, and the second largest alumina producer behind Australia. 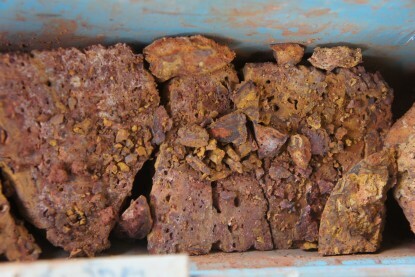 The country also has significant resources in gold, diamond, iron, oil, uranium, phosphate and manganese. A new Mining Code was adopted by the National Transitional Council and promulgated in September 2011 by the President of the Republic, Alpha Condé. It was the result of a two-year review process, led by senior officials from the Ministry of Mines and Geology, in collaboration with an international firm funded by the Agence Française de Développement. This work allowed to evolve the old Code towards better practices in a participatory exchange with all the actors of the mining sector of Guinea: civil society, administrations, mining companies and lenders. In 2013, the Guinean authorities decided to relax the tax regime provided for in the 2011 Mining Code, after conducting a series of consultations with economic actors, development partners (the International Monetary Fund) and civil society. The objective was to consolidate Guinea’s competitiveness in the global commodity market, to align Guinea with international best practices, while responding to investors’ concerns about profitability.Depuis, le gouvernement guinéen a mis en œuvre une politique minière dont l’objectif vise à développer le secteur afin d’élargir la base des recettes fiscales en devises et à promouvoir plus de valeur ajoutée locale.